Málaga, 1971 Acid and optimist, big and small, obvious or cryptic, infantile or adult, the work of Javier Calleja develops from contrasts, which are copulative and disjunctive, and not completely resolved. The artist from Malaga has developed a creative project where the distortions of scale, the mixture of supports (mainly sculpture, drawing and painting), and site-specific work are combined in a particular world indebted to the child reader of comics that survives in it. 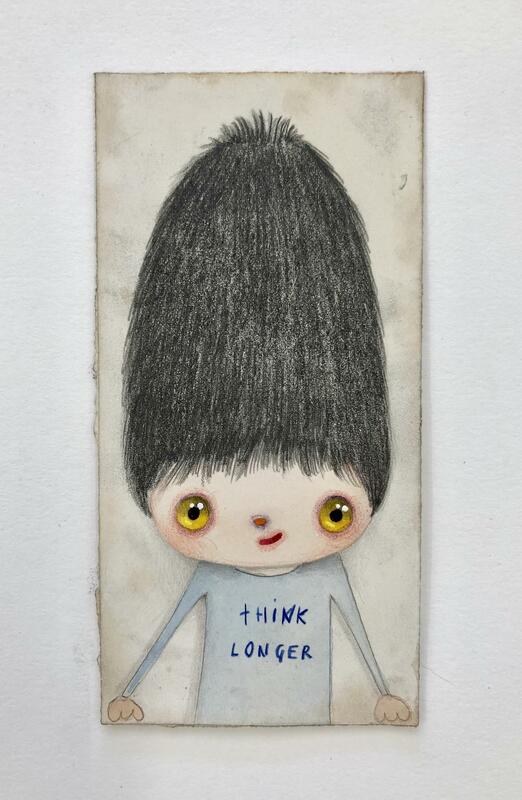 In addition to the comics, pop art and a surrealism of Magritte origin both influence the work of Javier Calleja. Author of installations and mural paintings in which he plays with the idea of artwork within the artwork, the artist invites the viewer to form part of playful scenes, to relate to his cubic-headed characters and to interact by participating in his ironies or by reacting to the disproportionate sizes that evoke the worlds of Alice.